We are here to answer questions, take suggestions, or just hear from you! I confirm that I have read, understand, and agree to this notice. Thanks for contacting us- we are here to help. 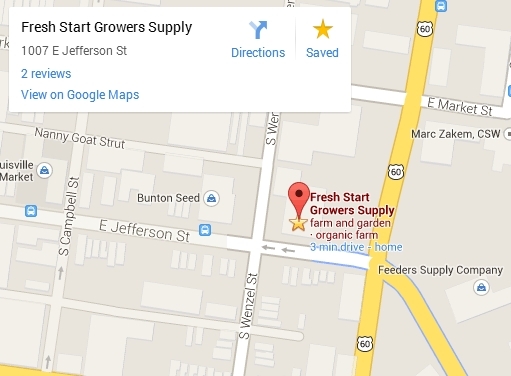 © Copyright 2019 Fresh Start Growers' Supply in Louisville, Kentucky. All Rights Reserved.